"The Ultimate Halloween Trivia Book" is the ultimate horror trivia book for the ultimate horror fans. It has 11 chapters and 1200 trivia questions. The first 10 chapters have 100 multiple choice questions, with each chapter on each of the films. The 11th chapter is a 200 question bonus chapter with ten different parts, including matching, true or false, multiple choice, fill in the blanks, who am I?, word scramble, hidden character, who said it?, this or that, and who played who? With a foreword from final girl and original scream queen, Jamie Lee Curtis, dive into the ten films of the franchise and get to know the franchise like you have never known it before. Do you think you are the ultimate fan of the Halloween franchise? Why don't you find out and purchase this book! This book is copyrighted under the Copyright Act of 1976 which means that all content within this book (both in physical or eBook form) is owned by its author, Scotty McCoy. Any resale of this electronic copy, or any publication, copying, or sharing through third party electronic Websites is strictly forbidden. If convicted to have resold, reuploaded, republished, or anything to violate the Copyright Act of 1976 will result in being prosecuted to the fullest extent of the law, including, but not limited to fines and fees, imprisonment, and/or any other legalities the court sees fit. 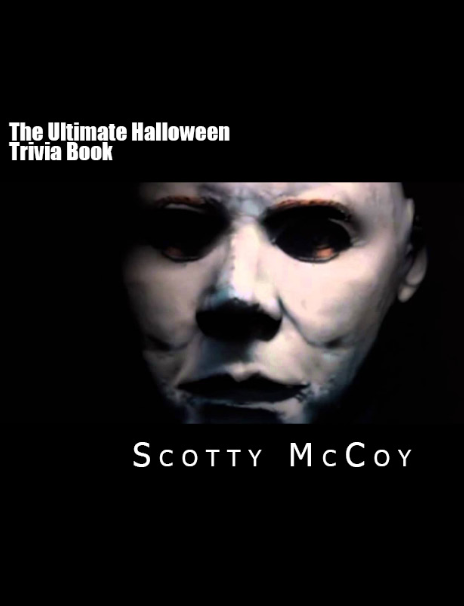 © 2017 “The Ultimate Halloween Trivia Book” by Scotty McCoy.